I have this pre-Fort Jackson school photo from about 1912, and I need help with identifying some of the people in it. Gary Martin, about 5 years old, is 3rd from the left on the bottom row. These four are all children of Adolphus Burdine MARTIN (1867-1917) and Elizabeth Patience “Lizzie” LEE MARTIN (1868-1937). My grandfather, Joel Daniel Martin, is the oldest of Adolphus and Lizzie’s children. 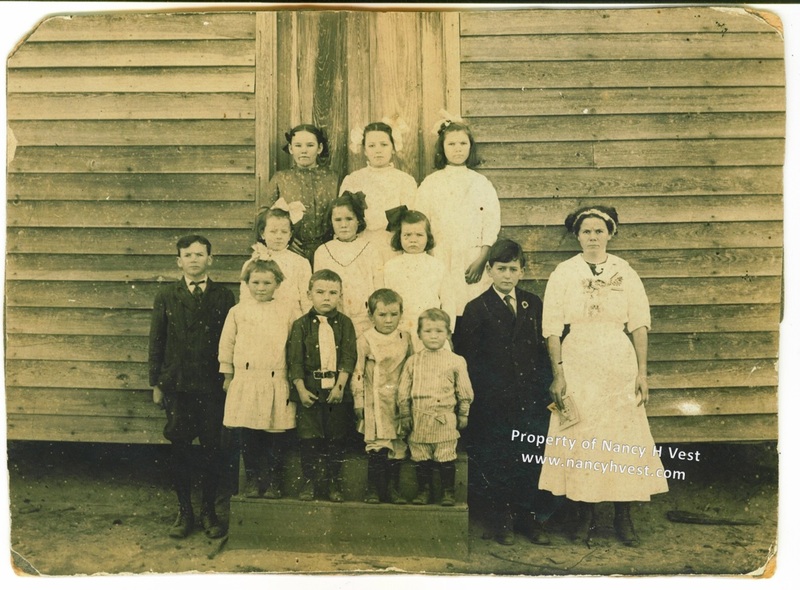 This family was one of the families that owned Fort Jackson land in Richland County, South Carolina, before it was Fort Jackson, so this school was probably on that land, too. Do you recognize anyone in the photo? If you do, please comment and let me know. And please share this blog around to other Fort Jackson families you know. I’d love to identify everyone in the photo and for their descendants to have this fantastic photo as part of their collection. « How premature was Daniel Martin?